After dying in a freak accident, Matt Cahill inexplicably “wakes up” three months later with the disturbing ability to see things—terrible things—that others cannot. Drafted as a warrior in the battle between good and evil, Matt will stop at nothing to destroy the malevolent Mr. Dark. 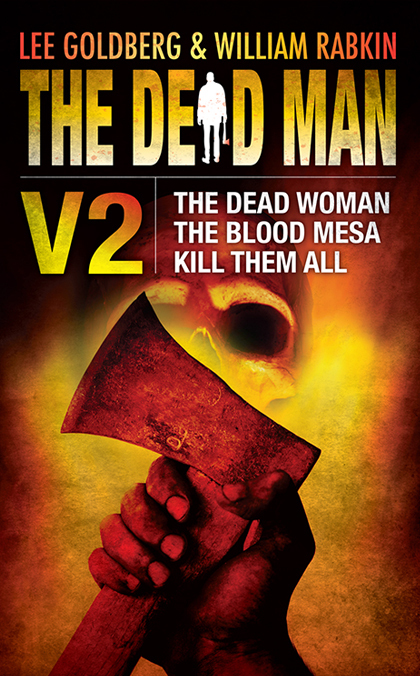 Three stories of unspeakable malevolence make up The Dead Man Volume 2, an action adventure collection full of dark humor and surprising twists. A serial killer is stalking Crawford, Tennessee, and Matt is determined to stop the killing in The Dead Woman. But when his new love interest turns out to have his ability to spot evil, and Mr. Dark puts his fingerprints on the town’s terror, Matt is going to need help. Trapped in a Nevada ghost town between its peaceful residents and a marauding band of mercenaries out for the secrets of his immortal blood, Matt must stand side-by-side with the townsfolk in Kill Them All.